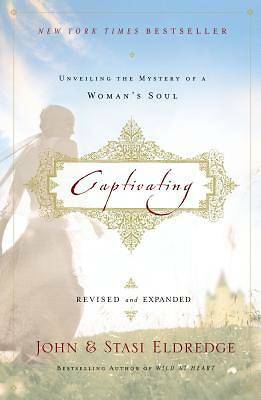 The message of "Captivating" is this: Your heart matters more than anything else in all creation. The desires you had as a little girl and the longings you still feel as a woman are telling you of the life God created you to live. He offers to come now as the Hero of your story, to rescue your heart and release you to live as a fully alive and feminine woman. A woman who is truly captivating. Every woman was once a little girl. And every little girl holds in her heart her most precious dreams. She longs to be swept up into a romance, to play an irreplaceable role in a great adventure, to "be "the Beauty of the story. Those desires are far more than child's play. They are the secret to the feminine heart. And yet--how many women do you know who ever find that life? As the years pass by, the heart of a woman gets pushed aside, wounded, buried. She finds no romance except in novels, no adventure except on television, and she doubts very much that she will ever be the Beauty in any tale. Most women think they have to settle for a life of efficiency and duty, chores and errands, striving to be the women they "ought" to be but often feeling they have failed. Sadly, too many messages for Christian women add to the pressure. "Do these ten things, and you will be a godly woman." The effect has not been good on the feminine soul. The message of "Captivating" is this: Your heart matters more than anything else in all creation. The desires you had as a little girl and the longings you still feel as a woman--they are telling you of the life God created you to live. He offers to come now as the Hero of your story, to rescue your heart and release you to live as a fully alive and feminine woman. A woman who is truly captivating. Unabridged. 7 CDs. Narrated by John & Stasi Eldredge.